Are you confused over where to invest your money to get high return and low risk. Well, Astrology have something for you, check out Horoscope wise Investment Guide, where you should invest to get more return. This guide is based on Moon Sign of horoscope. Aries: It is beneficial to invest money in land or property. However, do not invest your money on Wednesday and Saturday. Taurus: It is fruitful to invest money in silver and white stuff business. Do not invest your money in gold. Do not invest your money on Tuesday. Gemini: You might face loss if you invest your money in haste. It is beneficial to invest money in pulses such as wheat and grams. You can also get benefit if you invest your money in gold. However, avoid investing your money on Sunday. Cancer: It is beneficial to invest money in silver, rice or precious gemstone/jewelry. Do not invest your money in iron, petroleum or electronics. Avoid investing your money on Saturday. Leo: It is always beneficial to invest your money. 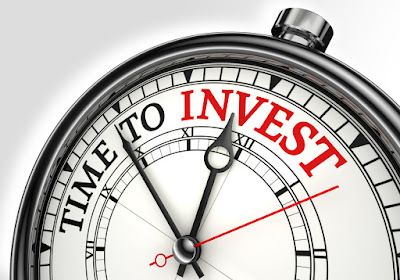 You can invest your money in land-property or fixed assets. However, never invest your money in partnership. Do not invest money in Wednesday. Virgo: It is beneficial to invest money in food products, electrical and electronics field. But never invest in precious/expensive metal such as gold and silver. Do not invest your money on Tuesday. Libra: You should take care in investing money. It is beneficial to invest money in petroleum, iron, electronics and metal. Never invest your money in gold and food grains. Scorpio: It is fruitful to invest money in food grains such as wheat, rice and gram. However, never invest money in fixed property. Never invest your money on Wednesday. Sagittarius: It is beneficial to invest money in land, gold or yellow stuff. But avoid investing your money in iron, electrical, electronics and petroleum. Do not invest your money on Saturday. Capricorn: It is beneficial to invest money on the first fifteen days of the month. You can invest money in silver and white stuff. Do not invest money on Thursday. Aquarius: You have to think a lot before investing money. You can invest your money in paper, garments and chemical field. It is also beneficial to invest money in mutual fund. Do not invest your money on Monday. Pisces: It is always beneficial to invest money. You can invest your money in small savings scheme and fixed assets. Do not invest your money in iron and vehicles. Do not invest money in partnership. Remedy: Do not wear necklace from the upper side. It weakens the Jupiter.